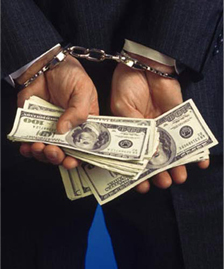 Our firm has developed a renowned expertise for cases linked to White collar crime. We advise our clients upfront on the strategy to adopt when facing risky situations, for instance when offences have been committed by employees or company officers/representatives. We also advise and defend our clients for court proceedings before French criminal courts, especially for those putting the criminal liability of companies or their officers at stake. - Misuse of company assets, misuse of trust, active and passive corruption. For any question on White collar crime, please contact our Partner in charge, Eric WEIL.